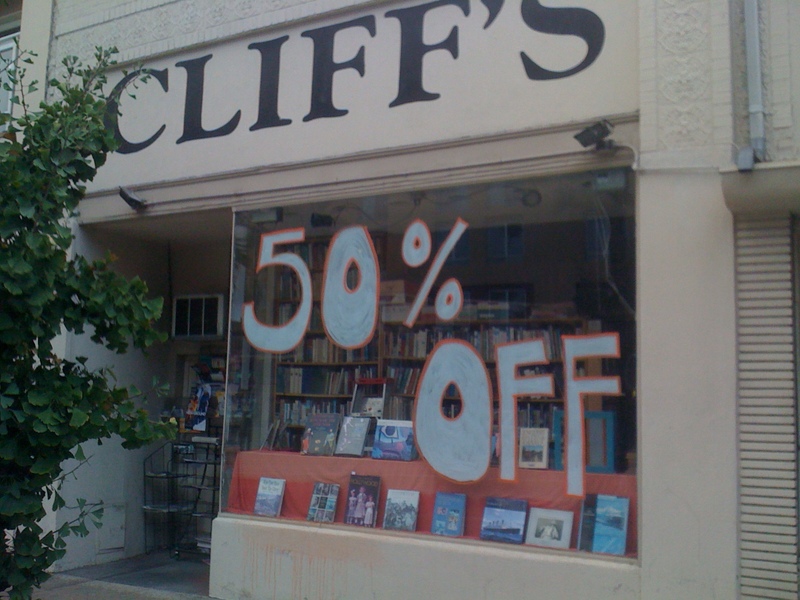 Two former employees of Cliff’s Books in Pasadena have died unexpectedly. 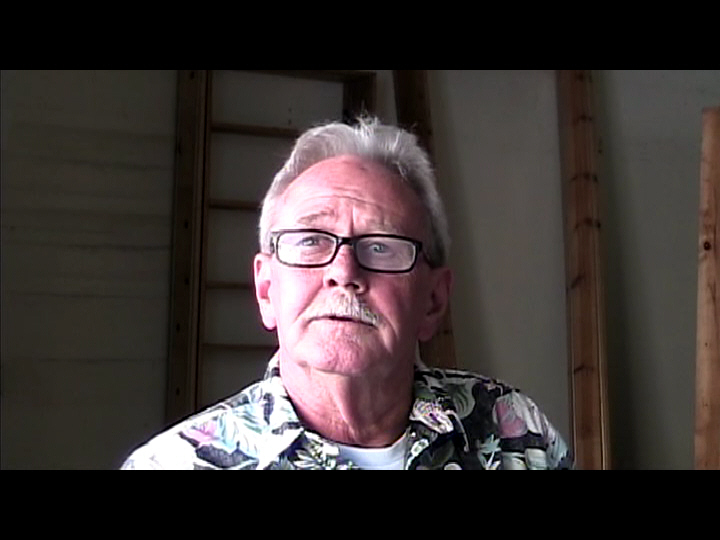 Jerry Lang was the Manager of Cliff’s until the last days when Cliff Gildart, the owner, suddenly closed the shop and sold the stock to an online bookdealer in September, 2013. Jerry passed on Saturday, February 13, 2016. I am not totally sure of this date, so anyone who has more exact information please contact me. The closing of the store came without prior notice to the employees (or the landlord for that matter). One day we came to work to find a crew of guys boxing up books, and were told that Cliff had sold the stock and closed the store. You can imagine the shock to the employees. The buyer of the books kept a couple of the employees on for a few days while unwanted stock was reduced and sold off, pretty much paying for the amount that he paid Cliff for the whole stock of 150,000 books. More on all this later, but this post is about Jerry Lang and Paul Johnson. Jerry tried to find another job, but the suddenness of the closing made it almost impossible. He was, like most of us, “one paycheck away from being on the street.” More so because working at a used bookstore is financially 3 steps lower than working at a taco stand in Monrovia. And that is what happened to him. Without a job, he was unable to pay his rent and had to give up the apartment. The stress of all this hit him like a bolt of lightning, and he suffered a massive stroke. He ended up in a hospital and made a valiant fight to recover, but died this month undergoing surgery for an unrelated matter. 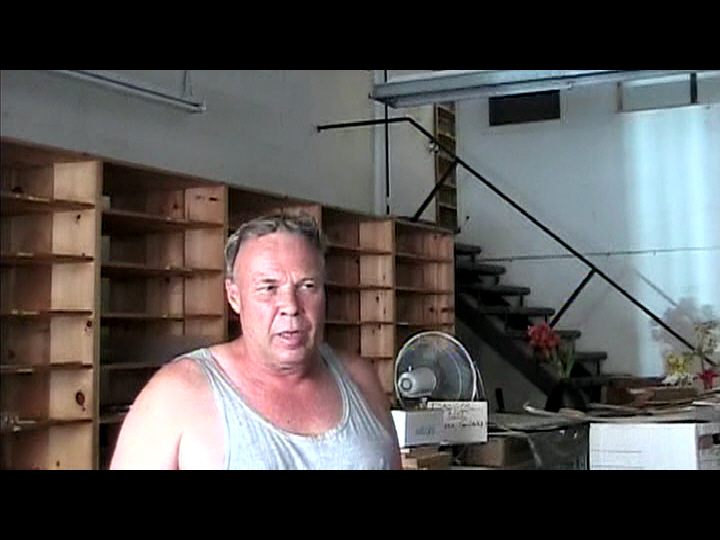 A few days after the store closed, in October of 2013, I filmed an interview with Jerry as the store was being demolished, books being moved out, and shelving knocked down. You can see the edited interview by clicking on the box below. Jerry was a great guy, a really good self-taught bookseller, and I loved working with him. We made super-human efforts to keep the store going, and Jerry would be just the guy you would want to be in charge of saving your business. I consider it an honor to have known him. Paul Johnson was basically Cliff’s right-hand man. 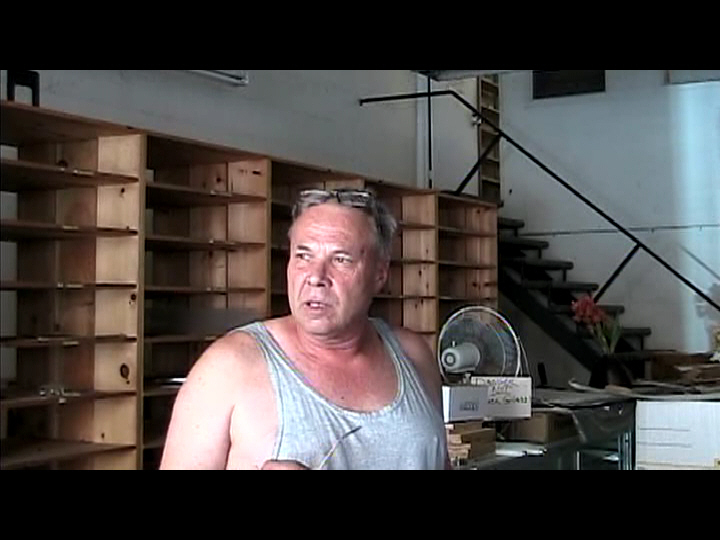 When Mark Sailor died around 2011, Paul filled in, working at the store a couple nights, helping Cliff in personal matters, and running the Annex warehouse where Cliff kept a huge overstock of books. After the store closed, Paul supervised the moving of Cliff’s mail-order and rare books up to the Annex. He was working at the Annex listing books for sale on the internet up until his death on February 15th. He was 59 years old. It’s always shocking to hear of a middle-aged person dying. Paul was as strong as an ox, and seemed to be in pretty good health, but both he and Jerry smoked, which did neither of them any good. In addition, Paul had hypertension due to a number of problems that I won’t go into, and smoked pot to keep down his blood pressure. Both he and Jerry were really good bookmen. Paul went to numerous book buys and estate sales and often came up with some rare and choice books for Cliff. Just before he was to drive off he started to dredge around the shop for his cel phone. I started calling the number and then listening, walking around the shop, you know the routine. No luck. After calling the number over 30 times I gave up. Paul went out in front of the store for a smoke. I joined him to get some fresh air, and for some reason of immediate habit dialed his number one more time. His phone was heard ringing, outside the store on Colorado Blvd., resting on a tiny ledge, right where Paul had left it an hour earlier during another smoke break. This was astounding, because nothing survives the eagle eyes of passing thieves on Colorado Blvd. A bicycle not locked will last 2 minutes max. I could hardly believe his luck, because although it was dark out, it had been ringing continuously for at least a half hour. Maybe all the thieves were snuggled into their sleeping bags by then. Another time, again late at night about 11:30 pm, Paul had come in to drop off something. He didn’t stay long, but called back to the store a few minutes later from the land line phone at the Annex. He had lost his phone again and asked me if I could call the number and walk around the shop and listen for the ring. It was a big shop, with three storefronts, back rooms, a paperback room, and an upstairs office where the “rare” books were kept. Believe me, it took a while just to walk around the place, and 30 or 40 dials to Paul’s cel produced nothing, not a peep. I called back to the Annex and asked him to come in and help me look for it. About 15 minutes later Johnson pulled into the back lot of Cliff’s, still driving the old Mustang. He was not in a good mood, angry at himself for once again (for the seven hundredth time in a month) misplacing the damned phone. I started dialing his cel number right away, and was startled to hear it chirping back just a few feet away, laying in the groove of the hood of the Mustang. I have no idea how it stayed perched there as Paul had driven all the way up to the Annex, about 3 miles away, and then all the way back to Cliff’s. I inspected the thing so see if there was some glue on the back of it or something, and then realized that Paul was so stoned that he probably drove really slow, like you do when pot paranoia takes over, and every passing cop car is a potential threat. Aside from the daily cel hell that Johnson had to endure,, I remember another incident of forgetfulness that was even more startling. Unnerving really. One night, on his shift, he decided to consolidate the fiction section. So he started to snug all the books up to each other, and when he was done, he had created a space of two entire shelving units. This was a lot of space at Cliff’s. where even a mouse-hole would have a book blocking the entrance. He had something in mind for the space, but forgot what it was. The two empty units were sitting right near the front of the store, prime space. I for one kept asking him what he was going to put there, but never got much of a coherent answer. After 4 months he didn’t even remember that he had done it, and asked me one night who had emptied the two units in the middle of the store. I stared at him, stupefied, and was going to yell at him that he was the one, but upon instant reflection of what it might do to upset his fragile psyche, and the fact he was my friend, I decided to blame it on Nick, the homeless guy who was crashing upstairs and told him I would see to it that some books were put in the empty space right away. He said that would be really great, and went outside for a smoke. What ever it was he was smoking was powerful stuff, the kind that makes you dream in technicolor. 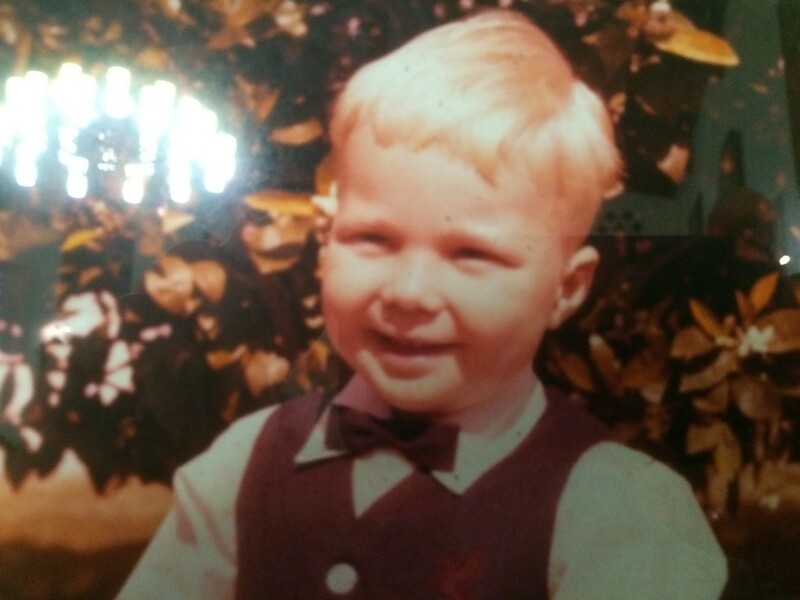 Paul Edward Johnson of Altadena passed away February 15, 2016. 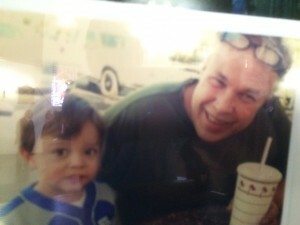 Paul was a lovnig father, grandfather, son, brother and a good friend to many. Paul was born at St. Luke’s Hospital in Pasadena, California on June 7, 1956, to Lloyd and Margit Johnson and grew up in Altadena. 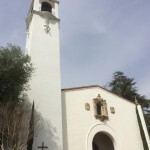 He attended St. Elizabeth Elementary School and St. Francis and John Muir high schools. He was a military veteran who served in the U.S. Army. 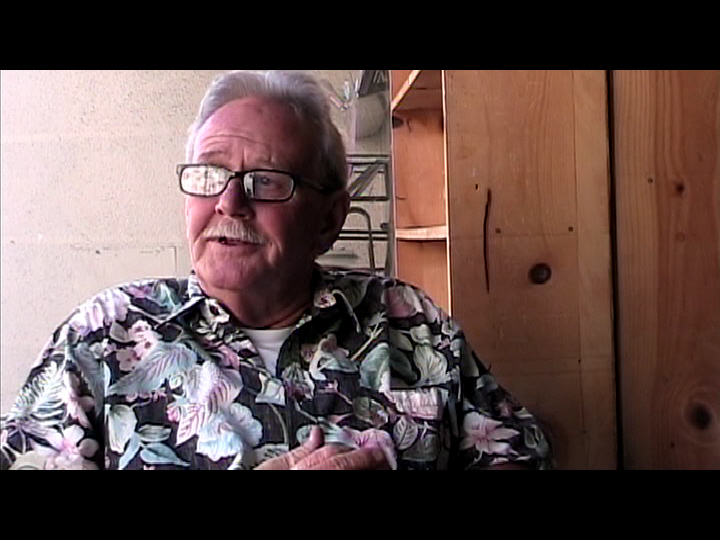 Paul loved camping and fishing in the mountains and was especially fond of Kernville. He was also an avid antique book collector. Paul will be remembered for his generosity and kindness to his family and friends. He had a big smile and big heart and will be dearly missed and forever cherished in our hearts. He is survived by a son, Skyler Martinez; daughter, Bryana Miller (Thomas); grandchild, Daniel Paul; sister, Anita and brother, Carl (kathleen). The Christian church, for some 2,000 years now, marks with ceremony the passage of humans through their lives at important times. Birth, baptism, marriage, death, these all mark places in our journey. None of us know when that final marker will take place, and it is sad for us when someone as young as our friend Paul passes. If anyone reading this has any memories of Paul and his activities in the book business, please send them along, so we can make this a part of the record. Paul had a great sense of humor and would himself want us to think of him in laughter and good times. “Don’t Worry about a thing, “Cause every little thing gonna be all right.” – Bob Marley singing Three Little Birds, Paul Johnson’t favorite song. Strangely, Paul had purchased an expensive bottle of wine which he shared a couple of glasses with Cliff Gildart only a day before he passed. Did he have a premonition and want to have a final toast with Cliff, his friend? Cliff said he was glad that he could share those last moments with Paul, who had really become Cliff’s right-hand man. Cliff, of course, is very saddened about this, and although he is not a religious person, please say a few prayers for him, along with Paul’s family. 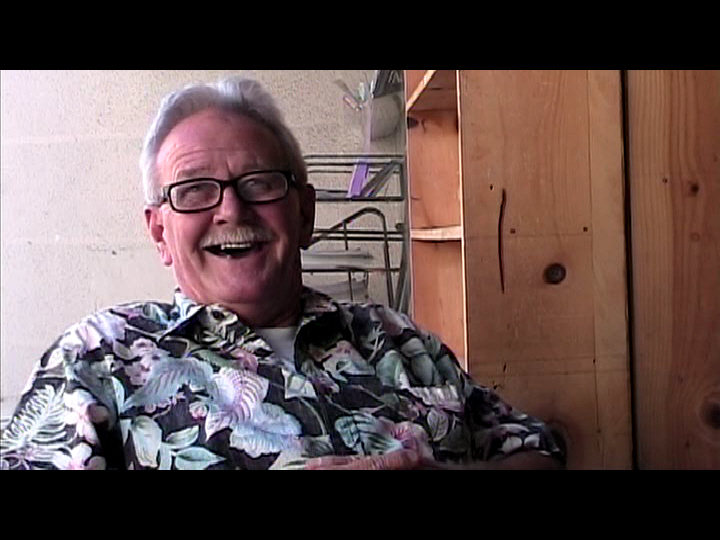 Both Jerry and Paul were good bookmen, both loved books and served the Pasadena community. They were both men of good temperament and good will, and we will miss them for their humor, as well as their tremendous knowledge. Rest in Peace, my friends. I may have some more entertainment about Clliff’s and other bookshops and booksellers in the future, if I can bring myself to do it. Letters, emails, brick-bats encouraged. Please consider everything on this website to be a massive work of fiction. I’m not really sure, in my advanced dotage that any of this actually happened. I swear under penalty of perjury that I wasn’t smoking anything during those years. Well, at least pretty much. Maybe a little wine now and then. Really. Swear it. This entry was posted in Book Shops, Booksellers and tagged booksellers, Cliff's Books, Jerry Lang, Paul Hunt, Paul Johnson, used books by paulie. Bookmark the permalink. I used to go here all the time and many of the books in my library came from Cliffs. I especially loved visiting with the shop cat here and the shop cats in other used book shops close by on Colorado. RIP to these two great guys and condolences to their families, loved ones and colleagues. Jerry was always soo kind to me every time I was in the store. I didn’t realize he had such knowledge of rare books. He made many an insightful comment about a filler book I was buying at the counter without ever looking down his nose at them. Upset to hear his end was precipitated by an abrupt need to find another job.